Ok so what does a humpback whale have to do with marketing? Check out this campaign from Greenpeace for the answer. Greenpeace was hoping to raise the awareness about humpback whales that were being threatened by the Japanese Fisheries Agency’s plan to kill 50 humpback whales. They started with an online competition to name the humpback whales that Greenpeace were tracking via satellite in the Pacific. They originally received 11,000 submissions in the competition to name the humpback whales they were tracking on their migration to the Southern Ocean, and then they narrowed it down to the final 30. Some of the names we very thoughtful like Shanti or expressive like Libertad. And then of course there was Mister Splashy Pants. Mister Splashy Pants quickly became an internet meme, and later the subject of a TED talk by reddit co-founder, Alexis Ohanian. 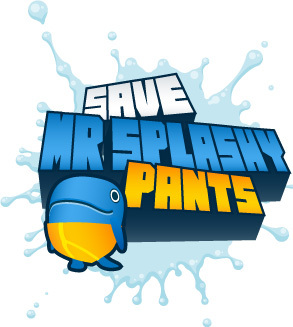 On December 10, 2007, Mister Splashy Pants was announced the winner of the competition. 150,000 people reportedly voted, and ‘Splashy’ received 119,367, over 78 percent of the votes. The nearest rival was Humphrey at 4,329 votes, or less than 3 percent. reddit alone was responsible for 20,322 of the votes. But even better than that because Mister Splashy Pants was so popular and a viral sensation the Government of Japan decided to abandon plans to kill humpback whales in the Southern Ocean before Greenpeace even left the dock! The lesson to be learned from Mister Splashy Pants is: Crowdsourcing works but only if you let go and are open to the results. Initially Greenpeace was hoping one of the more thoughtful names would be chosen so they left the competition run for a week longer hoping that would change the result – but it only made the results stronger in favor of Splashy. 2 comments to What you can learn from Mister Splashy Pants? @ Tracey – I know I loved it too!